The Federal Reserve is expected to change its economic goalposts and continue winding down its stimulus program, at Janet Yellen's first meeting as head of the central bank this week. 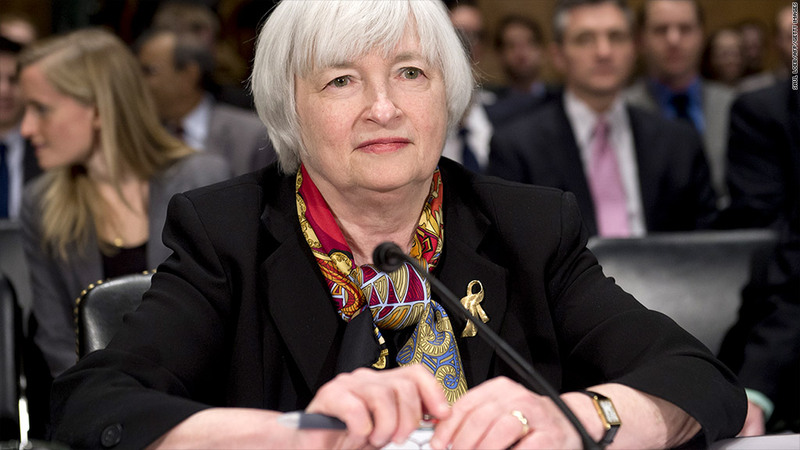 Get ready for Janet Yellen's first policymaking meeting as head of the Federal Reserve. 1) Tapering will continue: The central bank has been buying trillions in bonds since late 2008 in an effort to lower long-term interest rates. The goal: Stimulate the economy by making it cheaper to take out loans. But the Fed has determined it's time to start winding down that stimulus program. Since December, the central bank has been slowly reducing its bond purchases at each meeting, in a process Wall Street has dubbed "tapering." The Fed was previously buying $85 billion in bonds each month, then reduced the amount to $75 billion in January, and then $65 billion in February. Economists expect a similar reduction in bond purchases will be announced at the upcoming meeting, especially given Yellen's comments before a Congressional committee last month. "We expect to continue reducing the pace of purchases in measured steps," she said. 2) The goalposts will change: The Fed has kept its key short-term interest rate near zero since 2008, also as a way to stimulate more spending. Investors have become accustomed to low interest rates but are looking for signals about when the Fed might eventually raise rates as the economy strengthens. So far, the Fed has said it wants to see the unemployment rate fall to around 6.5%, or inflation rise as high as 2.5%, before it will be ready to raise rates. But here's the problem: The unemployment rate, at 6.7% in February, is already nearing that point, and Yellen still thinks the economy is too weak. She may want to abandon the numerical targets altogether and focus on qualitative information instead. The unemployment rate alone is "not a sufficient statistic to measure the health of the labor market," she told Senators last month. Meanwhile, New York Fed President Bill Dudley has said the 6.5% unemployment rate "is already obsolete." It's a "reasonable time to revamp" the Fed statement to take out that threshold, he said at a Wall Street Journal event last week. 3) Weather puts the Fed in wait-and-see mode: Severe winter storms throughout much of the country weighed on economic data over the last few months, making it hard to get a clean reading on the recovery. Retail sales, job growth, housing and manufacturing all seem to have been impacted, but it's unclear whether the slowdown was temporary. "The question is how much of this activity comes back in the spring, how much is simply lost, and how much the slowdown reflects other factors..." Julia Coronado, chief North American economist for BNP Paribas, wrote in a research note. Coronado expects the Fed will acknowledge the harsh winter in its policy statement and may even nudge some of its economic forecasts lower for the year. That said, Yellen is still expected to express some optimism about the economy picking up in the spring. 4) Yellen is still focused on jobs, jobs, jobs: Following the Fed's meeting, Yellen will take questions from reporters in a press conference Wednesday afternoon. She's likely to emphasize that she remains deeply concerned about ongoing weakness in the labor market. As of February, 3.8 million Americans were unemployed for at least six months, and 7.2 million workers were stuck in part-time jobs, even though they would prefer full-time hours. 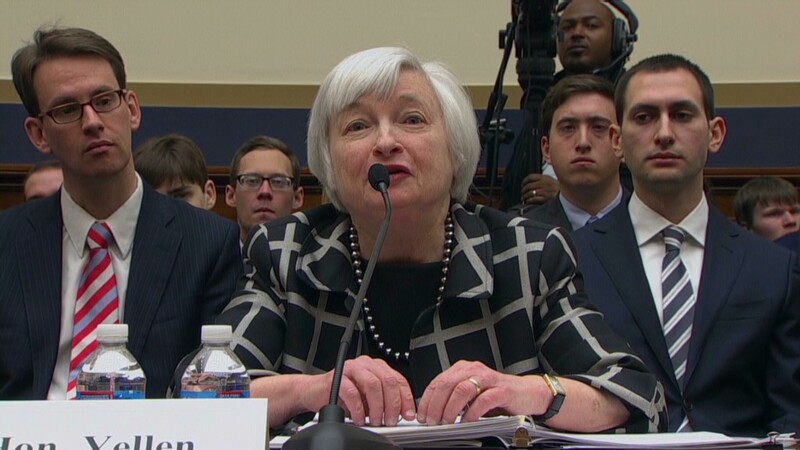 Yellen looks closely at both measures, and neither has improved much lately. Meanwhile, inflation remains well under the Fed's goal for 2% over the long-run, so Yellen is unlikely to view rising prices as a major concern.